On this vacation, travel to the glacier cleaved lands of remote Patagonia. 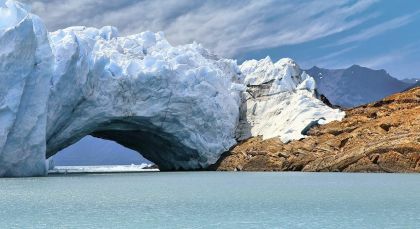 Beginning at the colossal glaciers of Torres del Paine, travel to the stunning Perito Moreno, discover penguin colonies at the end of the world, and sail in a spectacular land of snow – Antarctica! Remota allows its guests to explore the complete Patagonia. With a firm belief that Patagonia is much more than just Torres del Paine National Park, they have developed and offer a range of activities that ensure you experience all of the wonders of the area, such as the fjords, the Sierra Dorotea, Torres del Paine, the Cordillera Prat, the many lakes and lagoons, Rotundo area, the El Milodon Cave, the barren steppe and much more. Select from over thirty different activities such as hiking, horseback riding, biking, bird watching, navigations and fly fishing. For more detailed information on all the activities offered by Remota please visit the website. Discover authentic Patagonia through the many activities included in your stay. Catering to both leisure and adventure seekers alike, you can enjoy light or strenuous treks, biking, scenic boat rides, kayaking and even horseback riding. Enjoy day trips in and around Torres del Paine National Park, as well as exclusive excursions to private nature reserves such as the on-site Sierra Baguales. If you wish to simply unwind then the hotel spa is the perfect place for luxurious pampering! For more detailed information on all the activities offered by The Singular Patagonia, Puerto Bories Hotel, please visit the website. 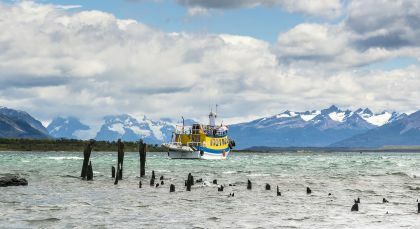 Day 1: Departing from Ushuaia by noon, set out for your Antarctica expedition heading east through the Beagle Channel. 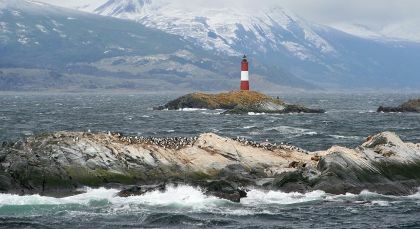 Past the Les Eclaireurs Lighthouse take a break at Puerto Williams (Chile) – the world’s southernmost city! 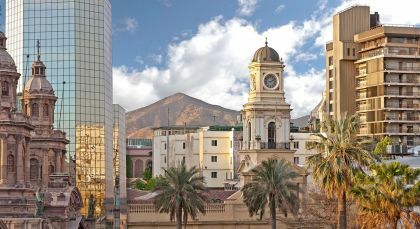 Explore the town’s charming attractions including the Micalvi Yacht Club, and the locally popular Refugio El Padrino where travelers canenjoy an ‘open door’ policy. Day 2: After an overnight journey, wake up to the legendary surrounds of Cape Horn. Hopping on Zodiacs, visit the Cape Horn Memorial, its neighboring church, and the lighthouse on shore. As one of the privileged adventurers to set foot on the island, get a unique ‘Isla Hornos’ passport stamp as your souvenir. Back on the ship, head for Antarctica through mighty open waters where the Pacific Ocean and the Atlantic Ocean meet. Day 3: As you sail across the legendary Drake Passage through the day, relax in the sauna, and enjoy the many facilities onboard. Learn about Antarctica’s fascinating history, flora, and fauna during interactive presentations and engaging lectures courtesy of passionate polar naturalists. From the observation lounge and the outdoor decks, spot different species of whale, and a variety of seabirds including petrels and albatrosses. During mealtimes, savor gourmet spreads complemented by periodic entertainment. Day 4: The next day, after crossing the Antarctic Convergence, as you get closer to the South Shetland Islands, notice the pleasant change of scenery with icebergs and the Antarctic mainland on the horizon. 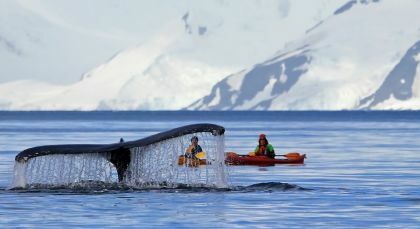 Navigate ice-filled bays in the company of Antarctica’s wildlife, marine life, and birdlife. Soon, on an exciting Zodiac excursion including a shore landing, hang out with penguins in a sprawling rookery that extends into the hillslopes. Apart from scavenging seabirds, and seals lazing about on the rocky shores, you might also come across the region’s rare vegetation. Explore the picturesque ice-carpeted surroundings in the endless Antarctica daylight, before retiring to your plush cabins. Day 5: Upon reaching King George Island, disembark at Fildes Bay and enjoy the last few hours of your expedition here. Sighting more species of penguins, seabirds, and seals, stroll on this almost Mars-like landscape peppered with brightly-colored residences, numerous research stations, and rusty machinery. 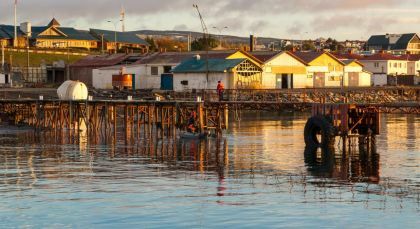 In the late afternoon, wave goodbye to Antarctica and board your flight back to Punta Arenas (flight is subject to weather conditions). Transfer to your hotel for the night. (Please note that meals in Punta Arenas are not included). Day 6: This morning, over a delicious breakfast at your hotel, bid farewell to your new friends from the week-long expedition. Later, you’ll be transferred to the Punta Arenas airport to connect to your onward flight.